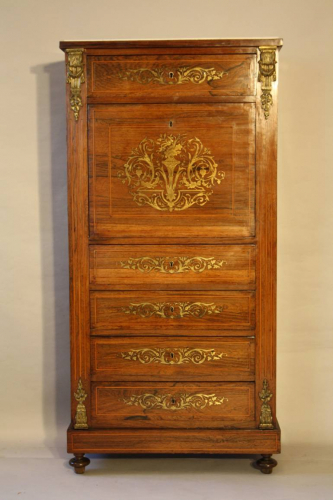 A beautifully made secretaire/bureau tallboy using Rosewood and profusely inlaid with brass detail. The top is finished with white and grey veined marble. The beautiful interior is walnut veneer with original red leather desk. Oak lined drawers meant this piece was spared no expense when made.